Looks like the bad guys aren’t going anywhere soon. 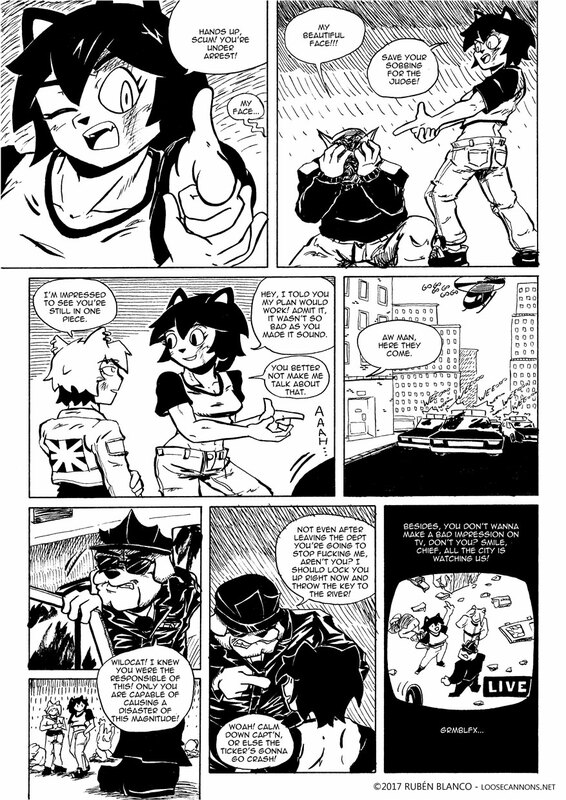 On this page I tried to make Gata’s hair a bit more interesting using some white lines on key points. I like the result, the extra volume makes wonders on her. Technical difficulties are great fun, yup.